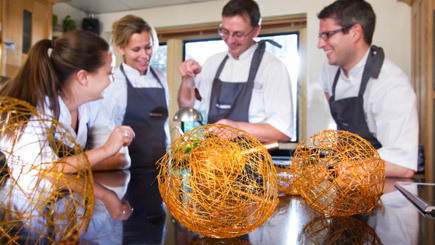 Raymond Blanc's cuisine at Belmond Le Manoir aux Quat'Saisons is both exclusive and delicious and this experience creates a unique opportunity to learn the skills and techniques used by the experts at Le Manoir. The full day session teaches guests how to create the perfect seasonal dinner party, mastering a selection of starters, mains and desserts (based on the seasonal produce available). Learn also the invaluable skill of how to rescue a kitchen situation when all does not go to plan! 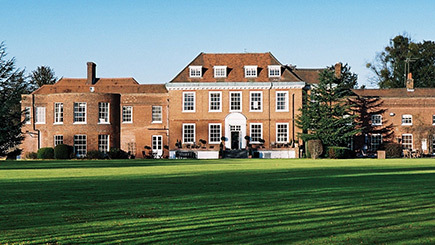 Enjoy morning and afternoon tea, plus an informal lunch in the Raymond Blanc Cookery School. To conclude, take home a certificate and a signed copy of Raymond Blanc's Foolproof French Cookery (please be aware that Raymond himself is not present for the experience). At least two dates per month. The winter course runs from December to March, spring from March to May, summer from June to September, autumn in September and October and Christmas in November and December. The class starts at 9am and finishes around 4.30pm. Please arrive at 8.45am to ensure a prompt start. A maximum of 10 participants share the class. Wear comfortable trousers, tops and closed in shoes. Each student is provided with a chef's jacket to protect clothing. Cameras are welcome to capture memories of the day.